At 31 years of age, 'Dirty' Derry Matthews (38-9-2) seems to have been around British boxing for a lifetime. It is almost possible to cut his career in to three stages - beginning, middle and.......well, current. Because although he may have some miles on the clock (with 49 fights he is a veteran) he is by no means at the end of his career. In fact, he seems to be hitting his peak. "Since losing to Stephen Ormond (in December 2013) I moved out to MGM Marbella and am a completely different fighter" Derry tells me. "I've had four fights since, four wins and three titles from them. I have a world class trainer in Danny Vaughan who has always been there, I'm getting the best nutrition and strength training from Taff who is the best in the business in my eyes and I have a world class manager and great people around me." Bold statements from Matthews, and ones that he is backing up in the ring. The titles that he refers to are the British lightweight title (captured against Martin Gethin 24-4-1), the WBA Continental title (via beating Gyorgy Mezsei Jr 21-13-0) and the interim WBA World title (against Tony Luis 19-2-0). The win against Luis came after Matthews was supposed to be fighting Richard Abril, who withdrew from the fight at short notice. Abril himself was supposed to be fighting Britain's own Anthony Crolla, who had to pull out after being attacked by burglars. The Abril withdrawal meant that Matthews was instead competing for the Interim version of the title. In the meantime, Abril got stripped of his title and this was handed to Darleys Perez (confusing, but this is the WBA!). Perez then fought Crolla in July in a contentious draw. This leaves the WBA world scene looking like this: Crolla has a rematch with Perez sanctioned, still to be scheduled. Matthews is still the number one contender for the title, meaning that he will get his shot once the dust settles between Crolla and Perez. 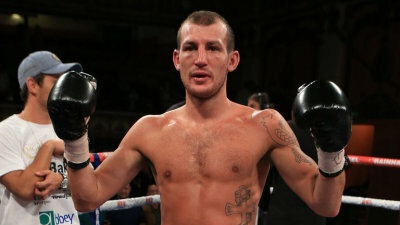 So, what did Matthews make of the Colombian when he fought Crolla? "I had Crolla winning the fight by two rounds, but I don't think Perez was at his best." Whichever fighter comes through with the belt, Matthews must fancy his chance. He has twice shared a ring with Crolla, stopping him in six rounds in 2012 and having a 12 round draw in 2013 for the Commonwealth title. Since those fights with Crolla and the loss to Ormond in 2013, the lightweight division in Britain has had a changing landscape. Scout the rankings and you will see a host of world class names as well as potential; Ricky Burns, Kevin Mitchell, Luke Campbell and new WBO world champion Terry Flanagan. Flanagan is another fighter that Matthews shared the ring with back in 2012 during a Sky Prizefighter tournament. The format never seemed to suit Matthews style, and it was a tournament Flanagan went on to win. "Over the next 12 months I aim to be the most talked about lightweight in Britain but if not, it won't bother me as long as my wife and kids are happy them I'm happy. I'm a proper fighter who doesn't turn down fights and I fight anyone, anywhere. Some of the lads nowadays are scared to get a loss on their record - I think they like going to pubs and meeting girls and telling them they're unbeaten fighters!!" With that mentality, and the near 50 fights on his record, what does Matthews put his longevity in the ring down to? "I live properly outside the sport and I have good people around me - certainly George and Danny Vaughan (his trainers) are great, they don't believe in hard sparring." Matthews is due back out in the ring on October 10th - no opponent has been announced yet but fans can anticipate the usual all action Matthews fight. Providing he comes through unscathed, the biggest opportunity of his career could be around the corner. "I'm hoping to get the winner of the Crolla Perez fight after my October 10th date" says Matthews. Certainly if Crolla gets the result that many believe he deserved from the first fight, British boxing fans could be in for a treat. The second dust up between Matthew and Crolla took the 2013 award for domestic fight of the year at the British Boxing Board of Control awards. The thought of them putting on a trilogy would be mouthwatering, Mancunian Crolla with his fairytale comeback story against Scouse Matthews who has had his own travails through a 12 year professional career. Looking even further down the line and it is easy to see why lightweight is one of the highest profile divisions in Britain at present. 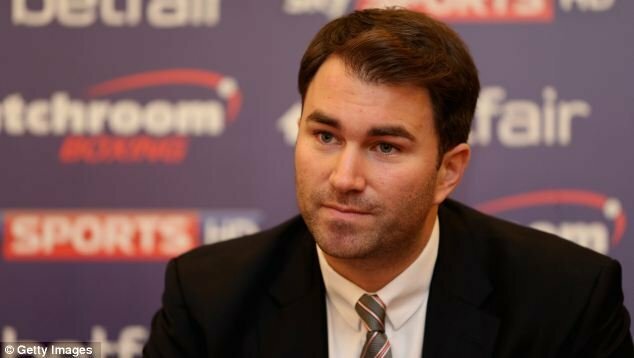 During the recent Rumble on the Humber show headlined by Luke Campbell and Tommy Coyle (a former Matthews victim), promoter Eddie Hearn didn't acknowledge Matthews name as one of the top fighters at the weight, despite naming a host of lightweights. Does that bother Matthews? "I don't think Eddie has a problem with me, I just don't think he likes the fact that I have beat his boys and I beat any of his lightweights!" With so many names domestically, some more established than others, one young man in the division has been making waves of late - Luke Campbell. The London 2012 Olympic gold medallist has started his career with 12 wins from 12, with 10 stoppages. What has Matthews made to the golden boy of MatchRoom promotions so far? "Luke is special and I'm hoping I am retired by the time he comes round to fight for world titles because the kid has got it all!" 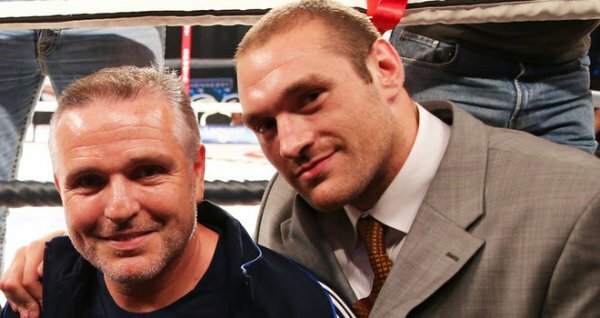 High praise for the man from Hull from Matthews who has shared the ring with some top names. Depending on how the next 12 months pans out for Matthews he could well be facing the new lion for a world title in a host of potential high stakes domestic fights. Derry has been one of the fighters sensible enough to plan for the long term while still active in the ring. He has his own gym in Liverpool that offers fitness as well as boxing training. How is that working for him? 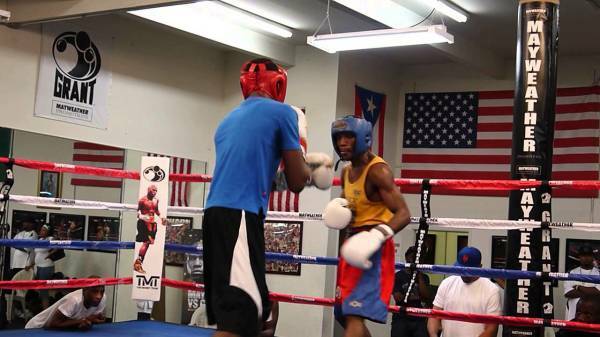 "At the moment the gym is flying - I've got seven pro's and the amateur club. When I'm done in the ring I'm going to be a full time coach as I don't think I have the brain to manage or promote ha ha." The fact he has had the foresight to establish a place to coach fighters once retired indicates Matthews may be doing his brain a disservice. Derry Matthews is a throwback, a fighter that is happy to go to war and isn't afraid of losing. With his current renaissance in the sport fully underway, this Indian Summer may be coming at precisely the right time for the likeable Scouser. 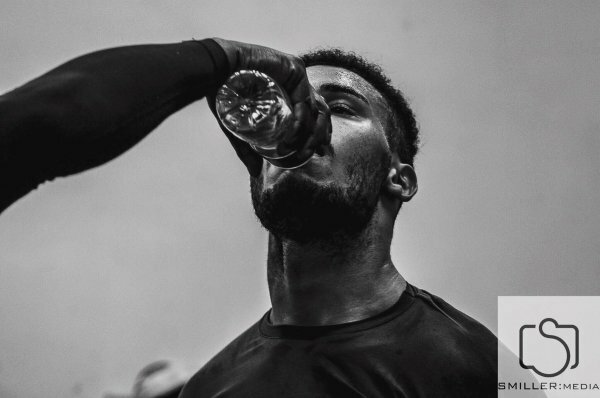 Before the sun sets on his career there could be some new peaks, and in a division that is currently in vogue throughout British boxing Matthews may well capture the gold to make himself the most talked about lightweight within the next 12 months.